The truth is out there : six months special | If I were a Deer, Dears ! Unlike the terrible adaptation of Stephen King’s It — aired on the French television at the same time — to which I also owe a few nightmares, I think that The X Files has globally aged well and even though the anarchical programming here in France and the nested plots made me stop following the show before the end, I am sure going to meet again with Mulder and Scully next week for the new season. These Mulder’s and Scully’s profiles are on numerous posters and visuals of the beginning of the show. While Mulder often keeps his hands in his pockets, Scully almost always folds her arms; her postures, as her character, will relax over the seasons. 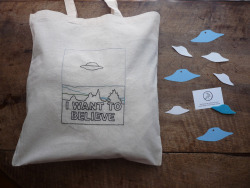 Because an X Files embroidery without UFOs was not really conceivable. 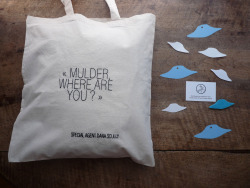 “Mulder, where are you ?” is one of Scully’s most frequent questions and I would be curious to know how many times she asks it. After a quick search on the internet, no cray cray website has given me the answer. I must say I am a bit disappointed, Deadwood does have its page to count the F-words after all. Eugene Tooms is a character from the first season who has most certainly given nightmares to many viewers in the 90’s, whether they were old enough to watch the show or not. We meet him for the first time during the third episode, Squeeze and he comes back in the episode 21, Tooms. Eugene Victor Tooms is a mutant and the least we can say is that his life is not so much enviable and that crossing his way is pretty bad luck. Every thirty years, Tooms awakes from his hibernating for a short period of time and goes on the hunt of human livers. Occasionally, he will feed on others animals, being sometimes a scavenger sometimes a hunter — by the way, he works at the Baltimore Animal Shelter this time — but for his good health and before going back to three new decades of hibernation, he will require five human livers that he will eat on his alive victims. 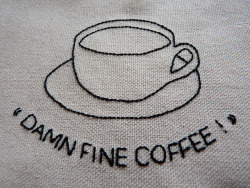 See, not a very desirable existence and very bad luck. Besides his bilious yellow eyes, Tooms has the characteristic to squeeze his body the way he wants and slip by the narrowest gaps. Not only it makes his capture and his neutralization impossible but it also makes him an all-powerful predator. The pipes and the air ducts are his ways of preference. “I want to believe” is what we read through Scully’s eyes on a poster in Mulder’s office-closet, five minutes after the pilot has started. Whether they are an expression of belief in the alien life, the supernatural, the afterlife or a god, those words often come back in Mulder and Scully’s discussions. “The truth is out there” could be the second title of The X Files. The sentence ends the opening credits and like the “I want to believe” it is, in a way, Mulder’s motto. No need to introduce the cigarette smoking man. Member of the Department of Defense and its secret organisation, the Syndicat, he is a mysterious and disreputable character. He owes his alias to his immoderate love for smoking. He is always surrounded by a cloud of fume and many are the shots of his hands scratching a match, crushing a cigarette in an ashtray — always letting the but half out — or the ones of the red light of his smoke in the dark. The mystery around him is partially lifted over the show but we have to wait the sixth season to know his name and the next one to see an episode dedicated to his alleged past. It is also in the seventh season that his connection with Mulder is revealed. 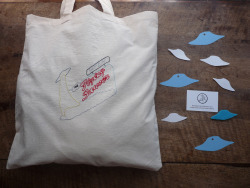 Well Dears, you know all about this six months special tote now. 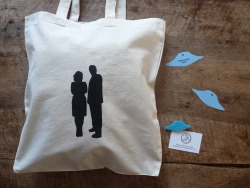 The truth is out there serie is presented in this post and of course, you may find the X Files totes in the Shop.